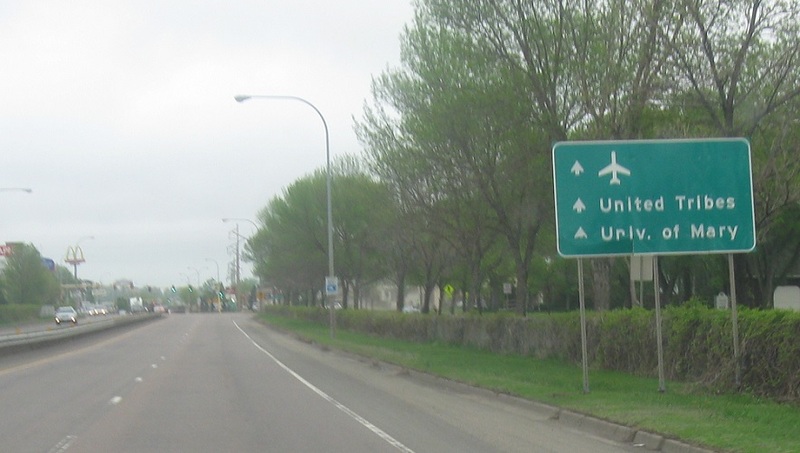 A mile later, exit for McKenzie Drive. Despite this highway having two assigned numbers, it remains numberless. As we cross the Missouri River into Bismarck, I-194 and the freeway will come to an end at the light. 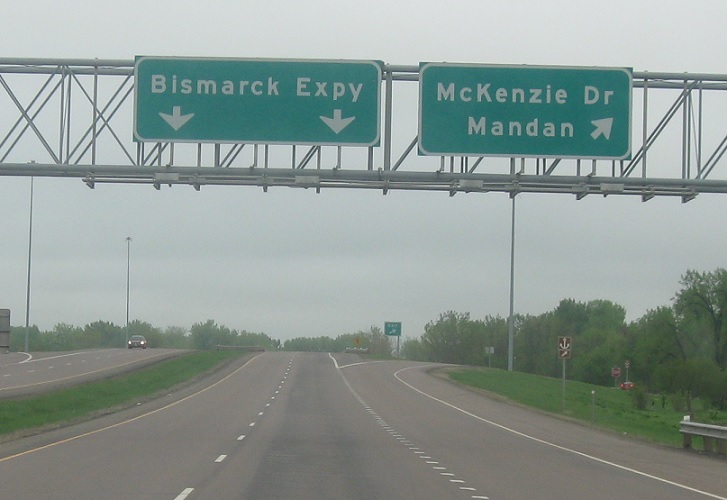 The ND-810 designation continues unsigned for the remainder of the Bismarck Expressway.